Danceclass 'Freedance' does no longer exist. 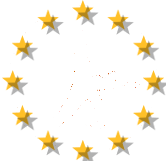 Nevertheless you can continue creating a portrait for this danceclass, if you competed earlier in this class and have not advanced to a higher class with the same partner or formation. No couples or formations in this danceclass yet.